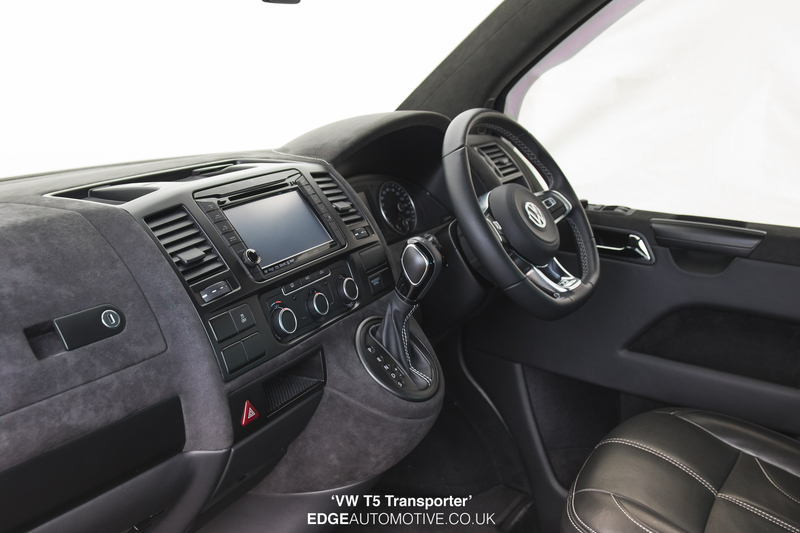 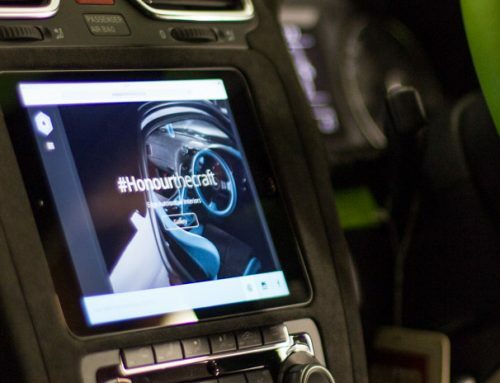 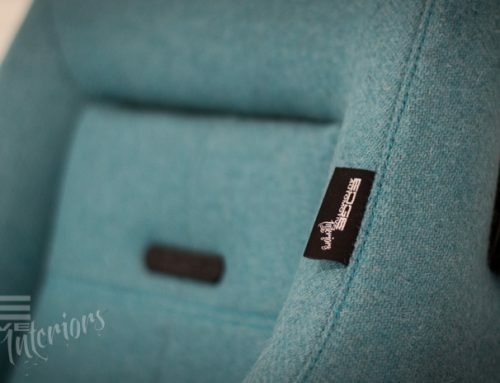 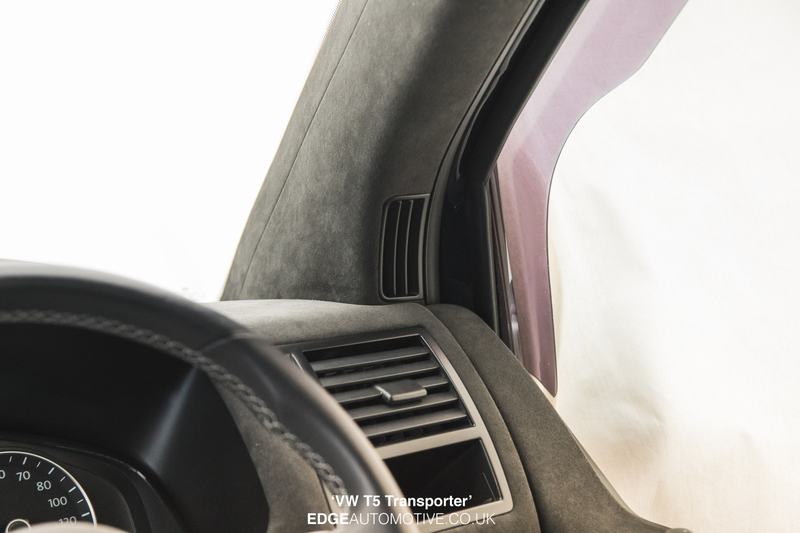 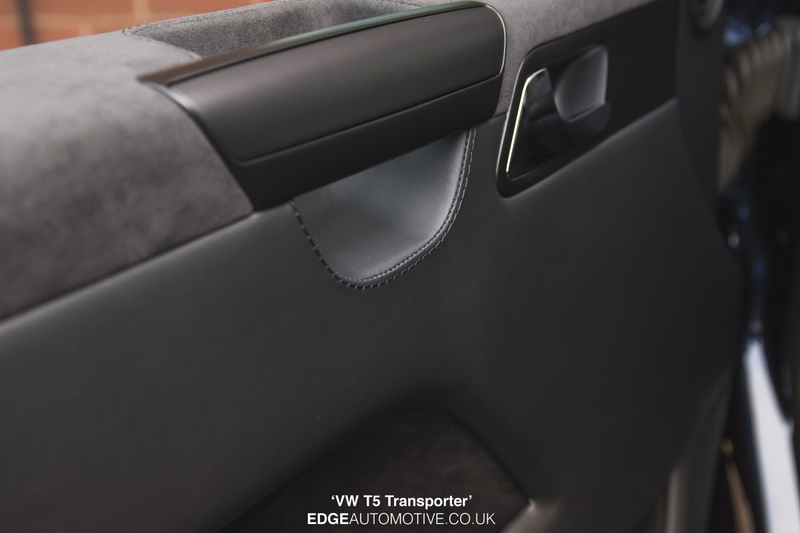 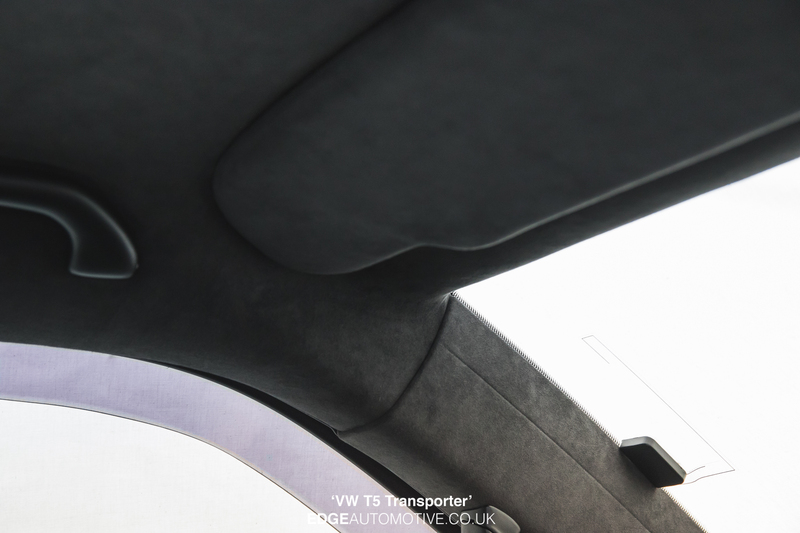 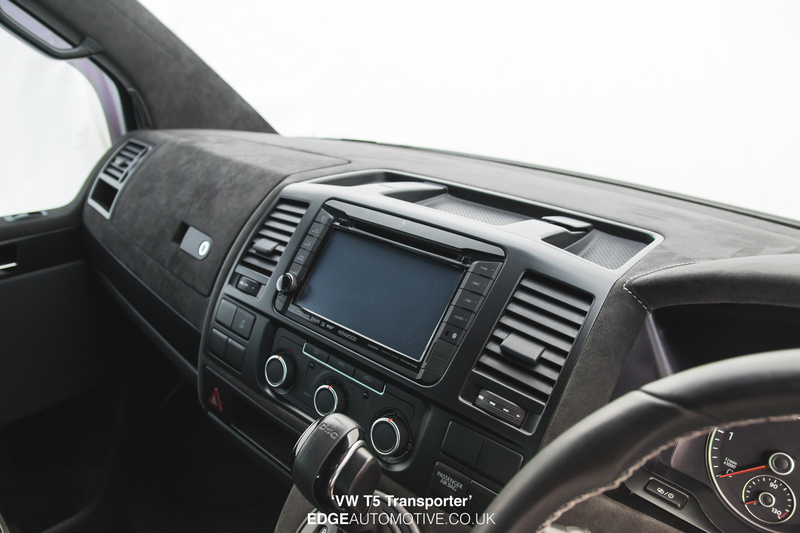 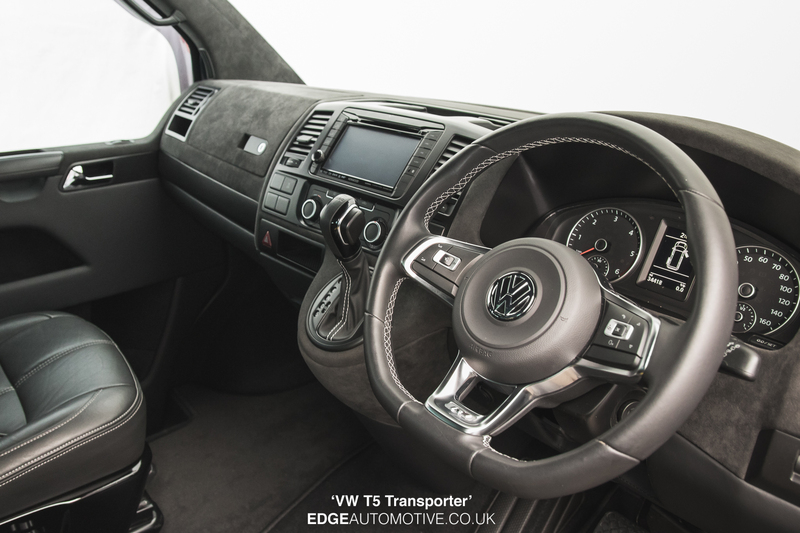 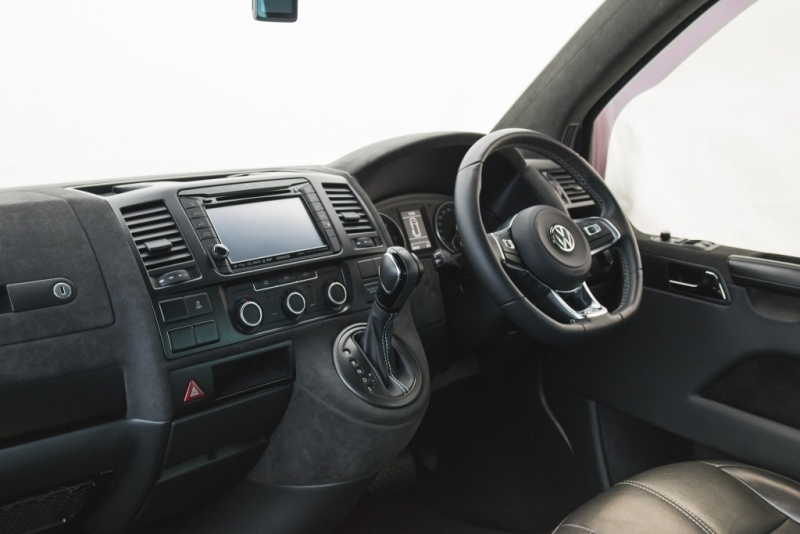 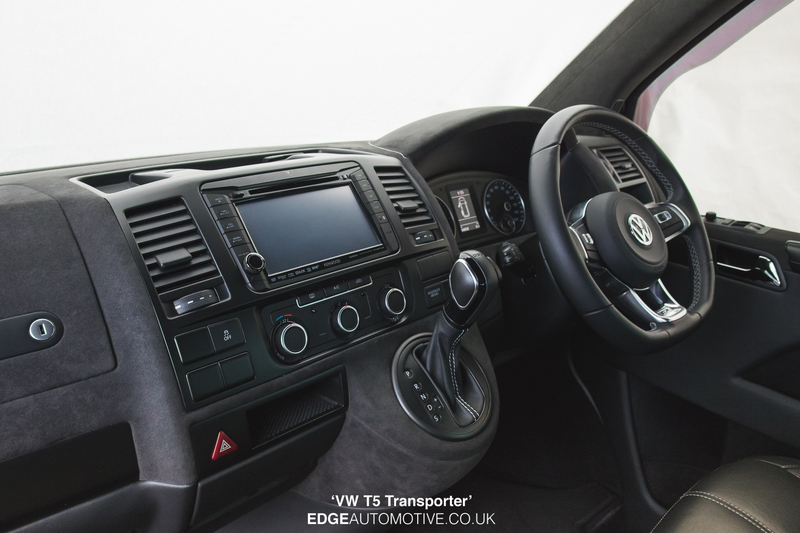 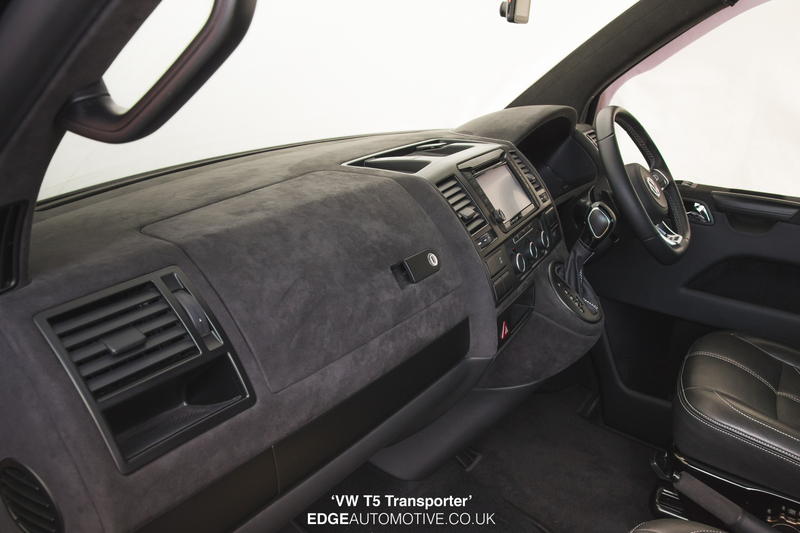 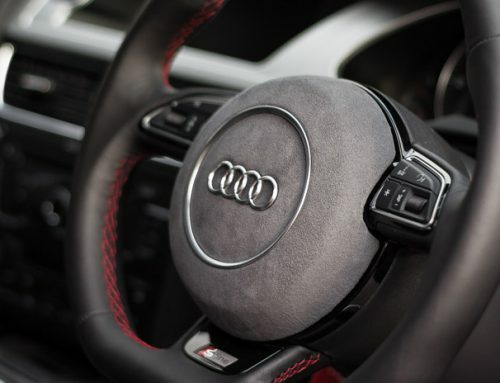 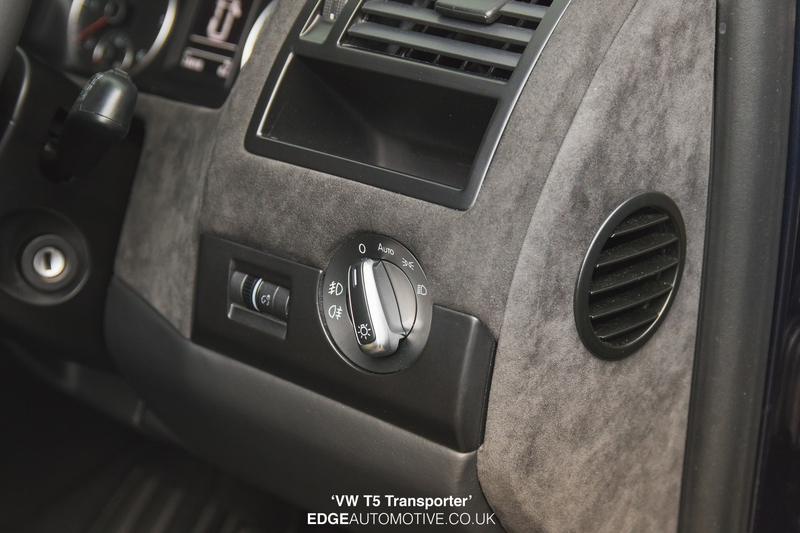 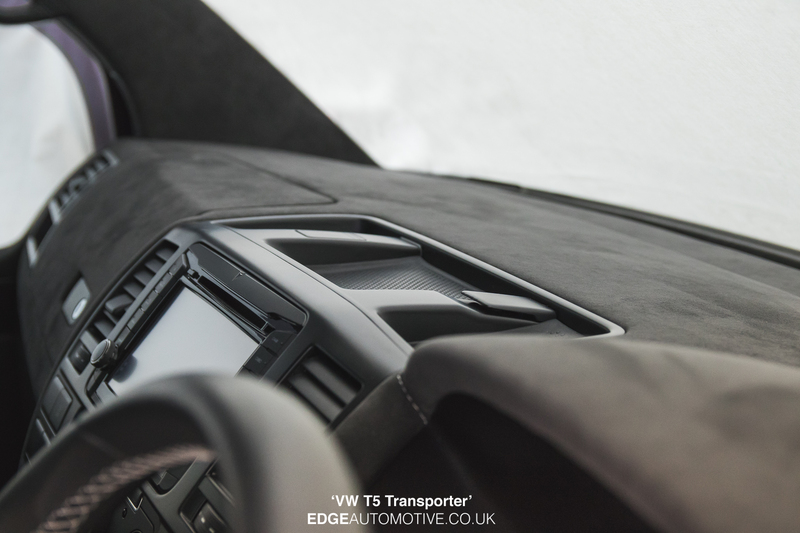 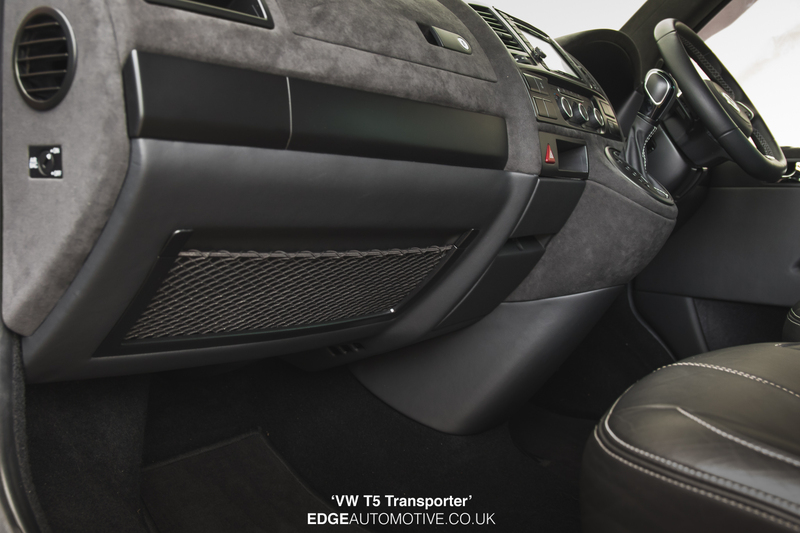 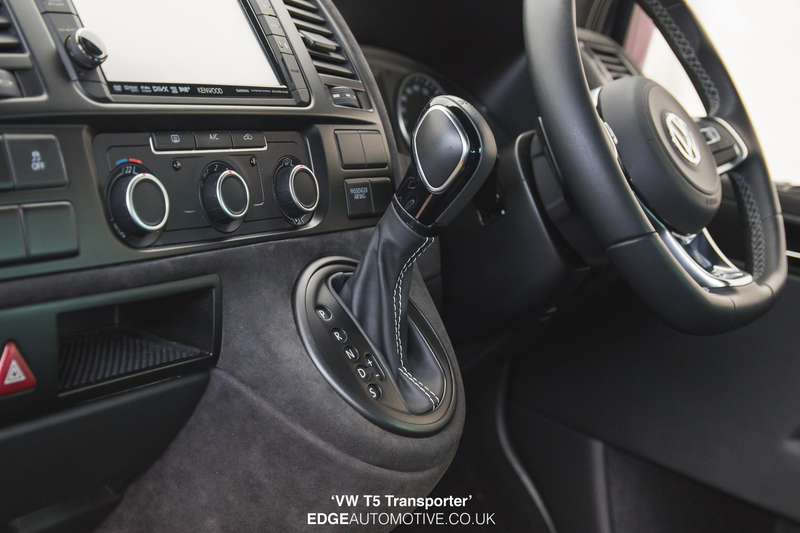 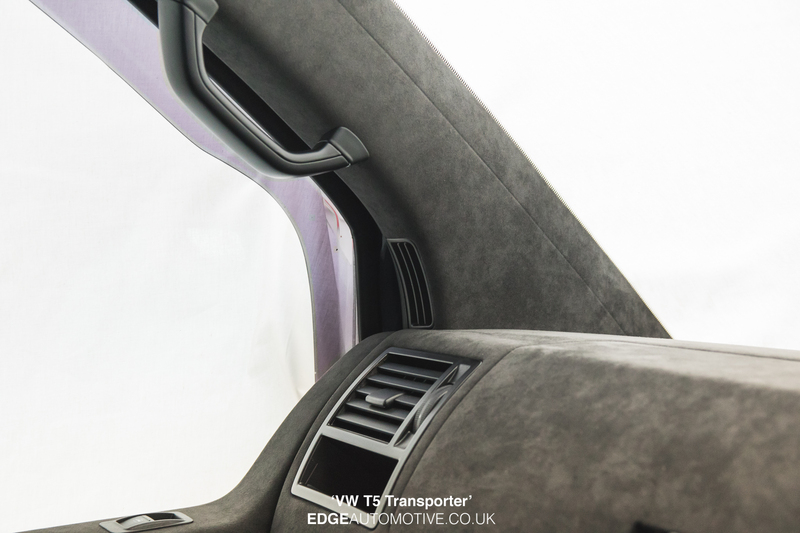 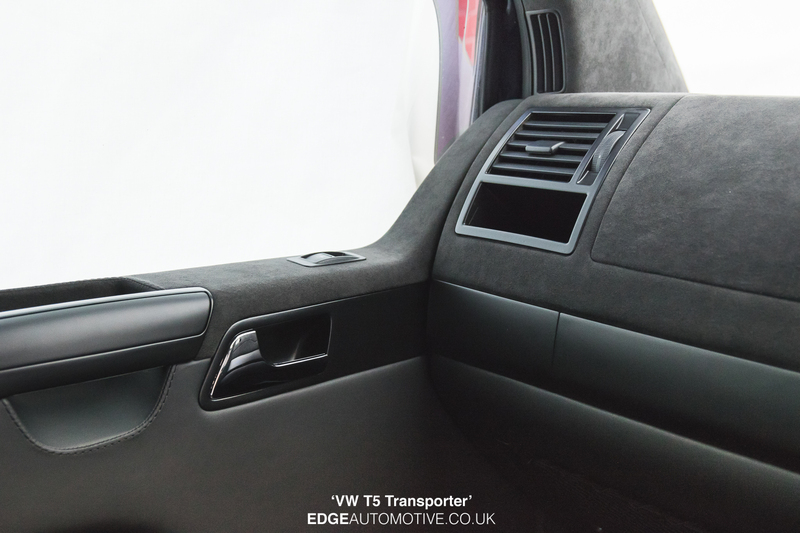 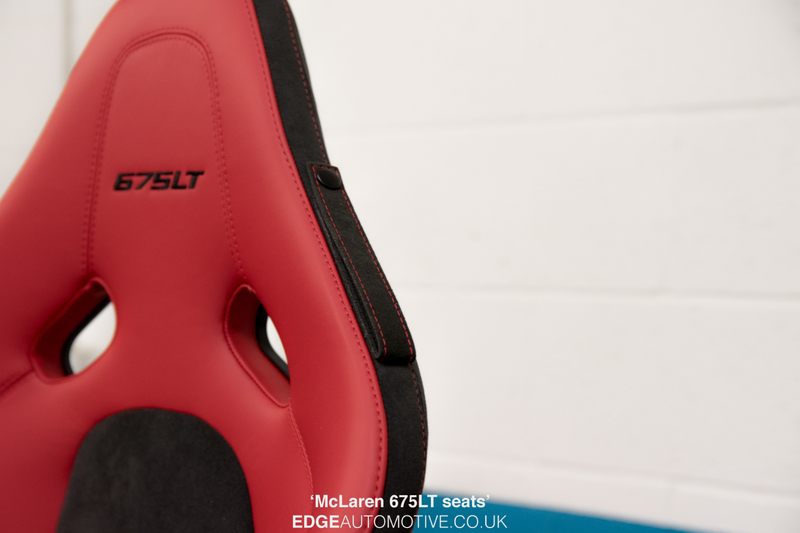 With the combination of Leather and Alcantara, this VW T5 Transporter interior has completely transformed. 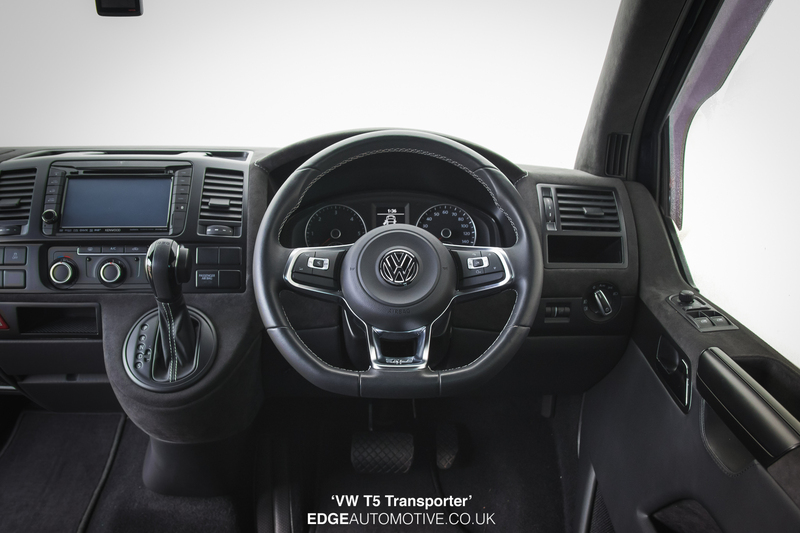 Here at EDGE Automotive we received delivery of this VW T5. 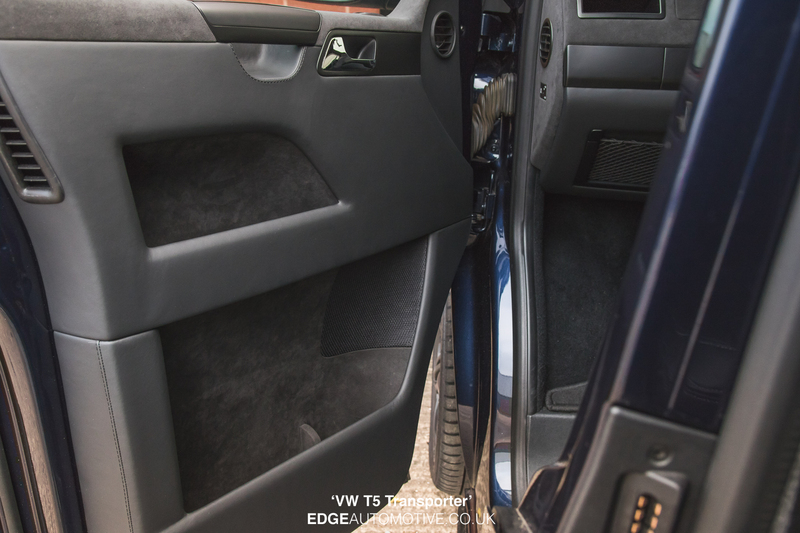 Our job was to rectify an attempted retrim, carried out by another company. 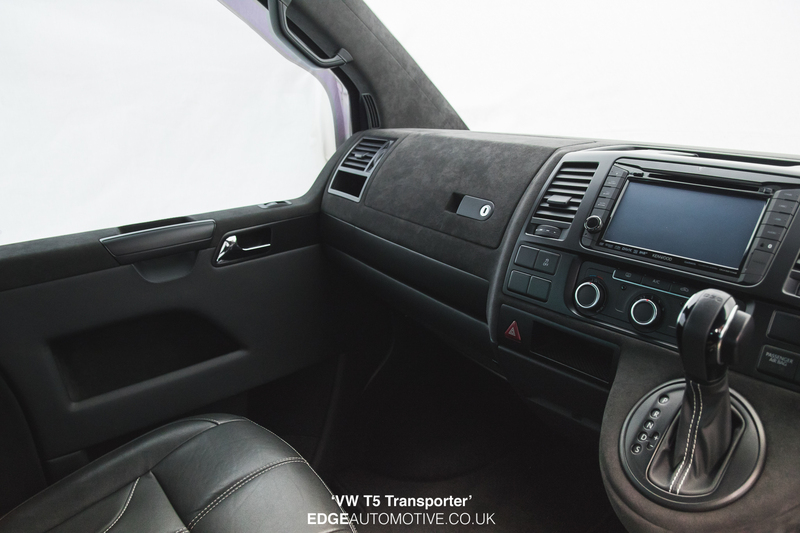 Our team have refined all the panels in the front cab area, from top to bottom. 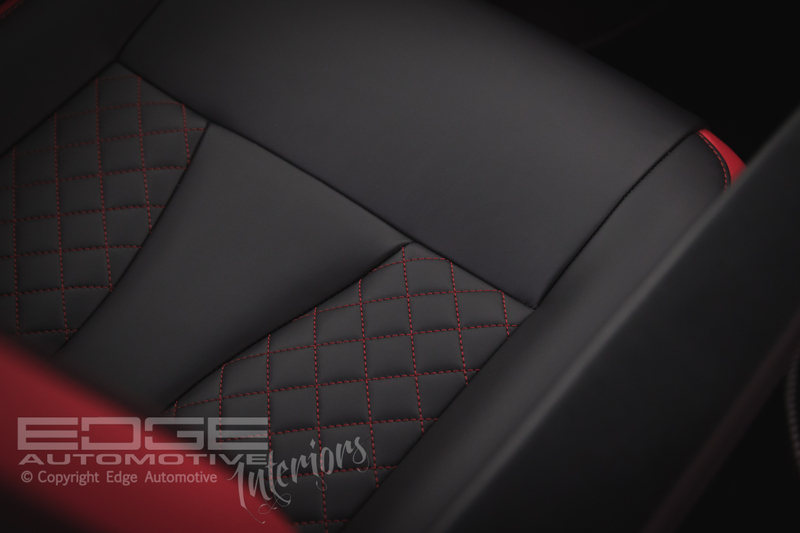 We applied Alcantara to the Headliner, Sun Visors and A/B pillars. 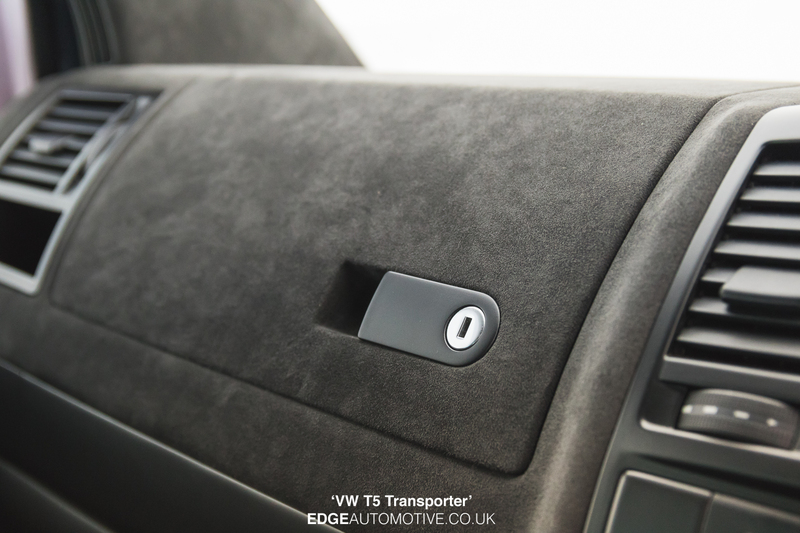 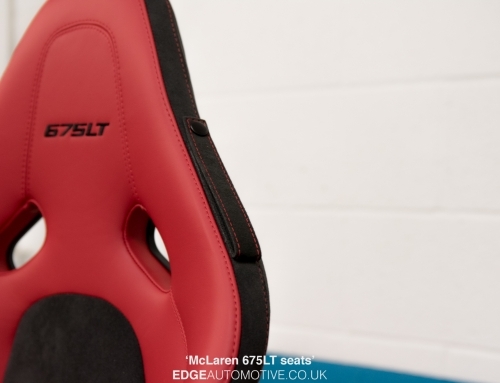 We also used Alcantara to trim the dash top and door card top sections, also along with the door card pocket linings. 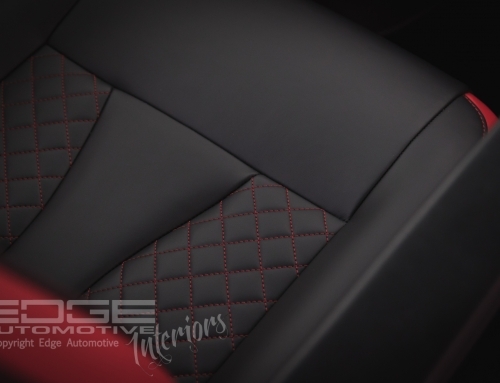 Black napa leather then used to trim the Lower dash panels and main door card panels. 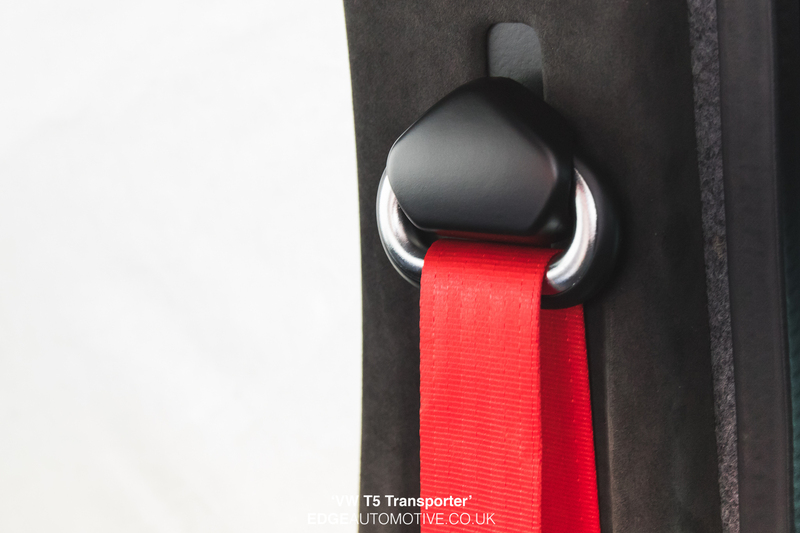 We applied matt black paint to all the plastic components in the T5 Transporter, each individual part, disassembled, painted and reassembled.